Maldives court frees ex-leader Gayoom - Integration Through Media ....! 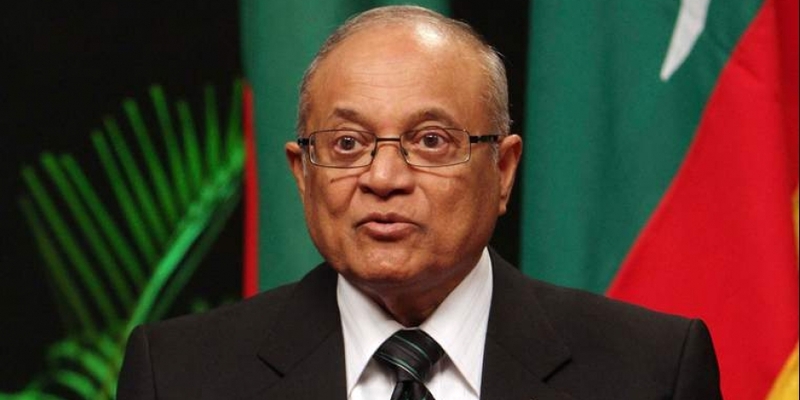 COLOMBO, (AFP) – A Maldivian court overturned the 19-month jail term of Maumoon Abdul Gayoom on Thursday, a month after the former president’s estranged half-brother and jailer suffered a shock election drubbing. Gayoom, 80, ruled the largely Muslim island nation for 30 straight years until he was defeated at the country’s first multi-party elections in 2008. On Thursday a court in the capital Male quashed Gayoom’s conviction for obstruction of justice — a charge that arose when he refuse to hand over his mobile phone to police. Gayoom is one of many political opponents and dissidents who were jailed or forced into exile during Yameen’s strongman rule. Mohamed Nasheed, the country’s first democratically-elected president, was convicted on a terrorism charge and sentenced to 13 years in prison in 2015 after a trial characterised by Amnesty International as a “travesty of justice”. Yameen appeared on national television Wednesday to once again concede defeat in the last month’s polls, despite mounting a court challenge to annul the results. The Supreme Court is yet to deliver a verdict in the case, which hinges on Yameen’s allegation that the election commission used invisible ink to understate his support on ballot papers.